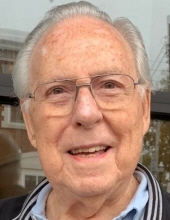 Harvey H. Frank, 88, of Spring Lake Heights, formerly of Freehold, Avon by the Sea, Neptune, and Fort Lauderdale, FL died Tuesday, April 9, 2019 at The Arbors at Spring Lake. He was a Supervisor Quality Assurance (QA) Manager in the Product Assurance Directorate, US Army Communication Electronics Command (CECOM), Fort Monmouth, retiring in 1986 after 36 years of federal service. He then worked for defense contractors; Columbia Research Corp, Tinton Falls, and Analytics Corp, Eatontown for five years as a QA Manager, retiring again in 1991 that totaled 41 years working with the US Military. Harvey’s work with the army required QA inspections at army installations, depots, and defense contractor’s facilities throughout the United States. He was Team Chief of QA Teams under the Army’s Foreign Military Sales and Grant Aid programs, during delivery of army electronics equipment, working in Jeddah, Saudi Arabia, Istanbul and Ankara, Turkey; including two trips to the Spanish Army’s El Pardo Depot, Madrid, Spain. He was also a QA Team Member with the US Army Tank Automotive Command, Warren, MI, during Project Handoff Delivery of the M60A2 Armored Tanks, working 3 months at the Grafenvier 7th Army Training Center, Germany. In addition, he was a Team Member during delivery of Armored Personnel Carriers M113A1 to Khartoum, Sudan; delivery of the M60A2 Armored Tanks to the Tunisian Army, working in Bizerte, Tunisia; and a Team Member with the US Army Missile Command, Alabama; working in Alexandria, Egypt, during delivery of the Hawk Missile System. Before Fort Monmouth, Harvey worked two years with the Defense Contract Administration Services Region, Springfield, NJ as a QA Specialist; assigned to contractor manufacturing facilities in Central New Jersey, performing final acceptance inspection on military production contracts; and before that worked 16 years at the US Naval Ammunition Depot, Earle, Colts Neck, as a Quality Electronics and Munitions Inspector. His work with the Navy consisted of QA on fleet returned munitions, new assembly, reworked, shipping and receiving; including managing the local Navy calibration program. During his employment, Harvey received many awards and commendations from his military commanders and supervisors, including one from the Ambassador to Sudan during his work in Khartoum, Sudan. One of Harvey’s greatest joys was his working trips to foreign countries where he was able to meet many interesting people and visit historical sites including: the Blue Mosque in Istanbul; King Ludwig’s castles in Austria Germany; King Farouk’s Castle in Alexandria; El Alamein, where Montgomery and Rommel fought tank battles during WW II, and where 8,000 troops are buried; the underground tombs when the Romans ruled Egypt over 5,000 years ago; the Cairo Museum where King Tut’s remains are displayed; and the largest indoor market in the world. Harvey and his twin brother, Herbert, joined the US Army in 1948 and were transferred from Fort Dix to the 2nd Army, 3rd Armored Calvary Regiment, 2nd Battalion, Fort George G. Meade, MD. One of their most memorable events occurred in Washington, DC, when President Harry S. Truman, and Vice President Alben Barkley were inaugurated and they saw the dignitaries wearing high hats when parading pass the reviewing stand. Harvey and Herbert were honorably discharged from the Army and then transferred to the New Jersey National Guard, 250th Quartermaster Battalion, Field Service Company, Freehold until 1952, and then both were honorably discharged with the rank of Technical Sergeant. Harvey was a member of the First Presbyterian Church, Freehold; a life member of the Freehold Elks Lodge No. 1454, and a member of the Freehold Intermediate Bowling League at Howell Lanes for 48 years. The bowling team, Gus Frank & Sons, consisted of father, Gus, and sons Ray, Ken, Harv, and Herb; the only father and sons’ team in the Monmouth County area in 1961. Harvey was a member of a Fort Monmouth retirees’ group and publisher of a retirement newsletter for 10 years. Also, he was co-chairman of the NWS Earle Retirees Association. Harvey enjoyed life to the fullest: traveling by motor home, camping, boating, crabbing, bowling, computers, genealogy research of the Frank, Burdge, Hayward, and Rasmussen families; and the horseshoe league at The Cabin, Howell Township for many years. He was born and raised in Freehold, living most of his life there, before moving in 2002 to Avon by the Sea, and in 2008 to Neptune, in 2013 to Spring Lake Heights. He enjoyed commercial flying back and forth to his winter home in Fort Lauderdale, FL especially when his family and friends visited. He is predeceased by his loving wife and high school sweetheart of 51 years, Patricia “Patty” (Hayward) Frank in 2001; his parents, Gustave and Charlotte (Burdge) Frank; brothers, Raymond, Kenneth, Herbert (twin); and sister, Catherine (Wournell) Amato. He is survived by his loving children, Karen Brown and husband James, Wall Township; grandson Nicholas Brown, his wife Suzanne and great granddaughter Addison, all of Wall Township; and great grandsons, Everett and Alexander; granddaughter Ashley Boehm and her husband Thomas and great grandsons,, Greyson and Easton, all of Wall Township; a son John, Davie, FL; granddaughters Courtney, Jersey City and Jourdan , Manasquan, his sister-in-law Florence, Freehold; and many nephews, nieces and cousins. Visiting hours will be held at the Higgins Memorial Home, 20 Center Street, Freehold on Sunday from 2:00 to 6:00 p.m. Funeral services will be held at the First Presbyterian Church, 118 West Main Street, Freehold on Monday at 11:00 a.m. followed by interment at Maplewood Cemetery, Freehold. B.P.O.E Lodge No. 1454 services will be held on Sunday at 2:30 p.m.
Memorial donations to the Freehold First Aid Squad and Emergency Squad, 18 Spring Street, Freehold, NJ 07728 in memory of his brother, Captain Herbert Frank would be appreciated. To send flowers or a remembrance gift to the family of Harvey H Frank, please visit our Tribute Store. "Email Address" would like to share the life celebration of Harvey H Frank. Click on the "link" to go to share a favorite memory or leave a condolence message for the family.